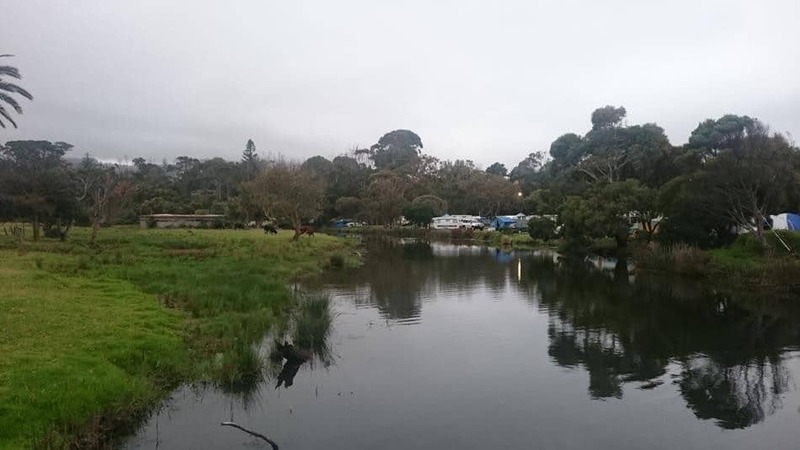 Camping and caravanning along the Ocean Road is a popular option for many people. 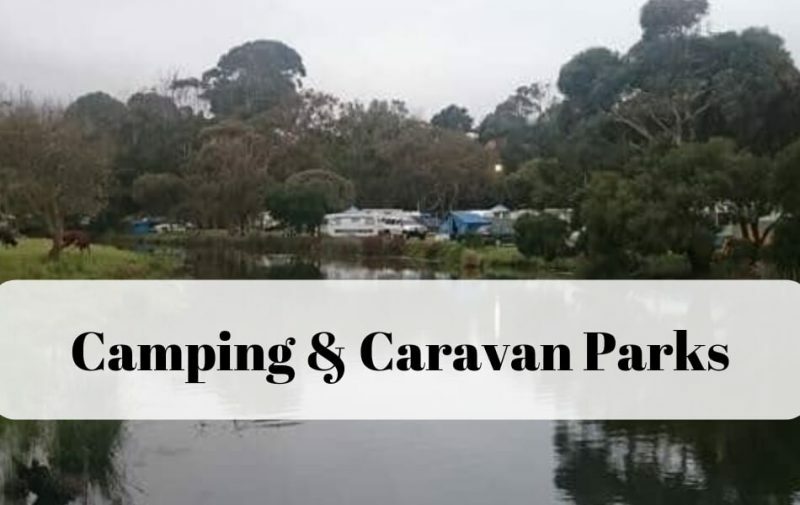 From resort-style caravan parks with loads of amenities, powered sites, dump points and cabins to basic bush camping, there is something for everyone. Many campgrounds are by the beach and have access to some of the best swimming, fishing and surfing spots in Victoria. Other sites are up in the Otway Ranges, surrounded by tall forests and waterfalls. Camping near Port Campbell is available when visiting the Twelve Apostles, ideal for anyone wanting to see the famous views at sunrise or sunset! 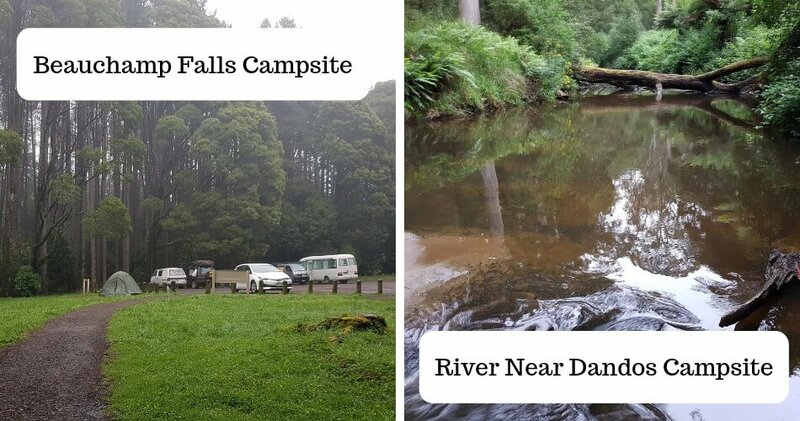 The peak summer season from late December through to the end of January and long weekends can prove difficult to find camping spots in the more popular areas such as Lorne and Apollo Bay, but Recreation Reserves are generally opened for campers and caravanners and are easier to get into. 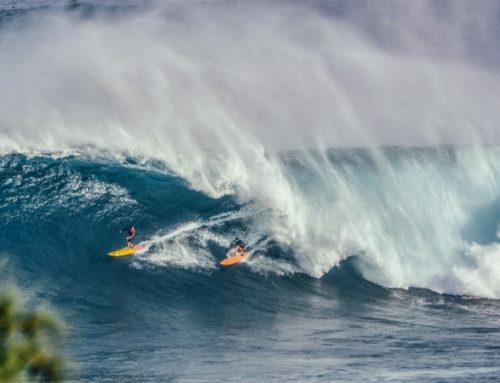 During the off-peak season it is usually always easy (and cheaper) to find a great campsite to stay along the coast. Self-drive touring or renting a vehicle is the best way to see the Great Ocean Road, getting off the main road and exploring the rainforests and down to remote beaches makes the experience even more memorable. We have created self-guided touring itineraries to help with planning a holiday down the Victorian coast. A number of excellent camping areas are free and some allow dogs on-leash. Find our complete list of free campgrounds here. Conditions and regulations can change, please read any links that are attached. Some camping and caravan parks are dog-friendly but may not accept them during peak times, please always ask before booking a camp-site. Dog-friendly camping and caravan parks will have it written in red in the details below. Please respect rules when taking your pooch to any of these places as it is kind of the park owners to be inclusive and allow people the joy of traveling with their dogs. 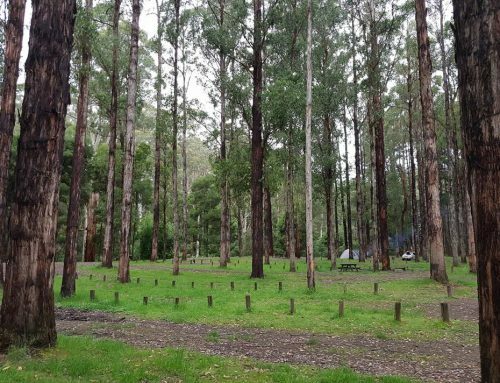 Three campgrounds are available in Lorne, all managed by the local council. Two of them are by the river and the third one is opened during peak season. The river campgrounds are close to all the shops and the beaches for swimming. The Cumberland River Holiday Park is not far from Lorne. It is a fantastic camping area with lovely cabins onsite. Walks from here are some of the best in the area and extend for miles up into the Great Otway National Park. The beach opposite is stunning and the river that runs through the campground has some awesome areas to relax in and cool down on hot summer days. The Big 4 is a very popular campground with many families coming here every year for generations. Koalas can often be seen in the park and the beach opposite is lovely. 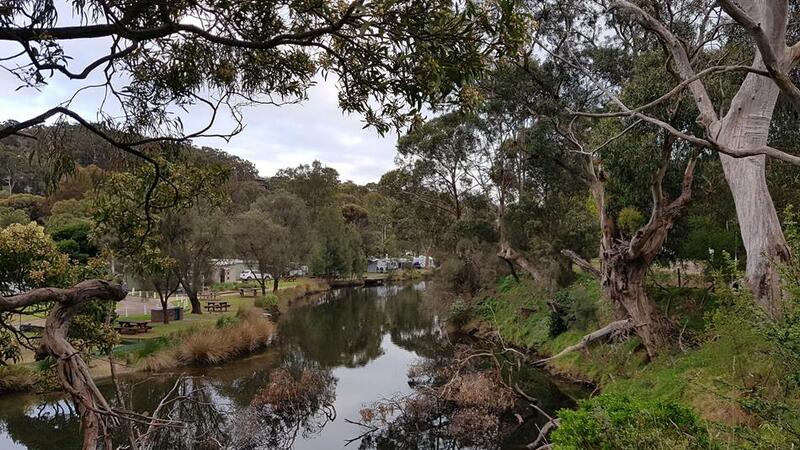 Apollo Bay Recreation Reserve: 70 Great Ocean Rd, Apollo Bay | Phone Bookings (03) 5237 6577 | Website Bookings | On the outskirts of Apollo Bay, the Rec Reserve has cabins to rent and some lovely campsites along the river and amongst trees. It is an easy walk into town and to the beach. Dog-friendly, check rules and regulations when booking. 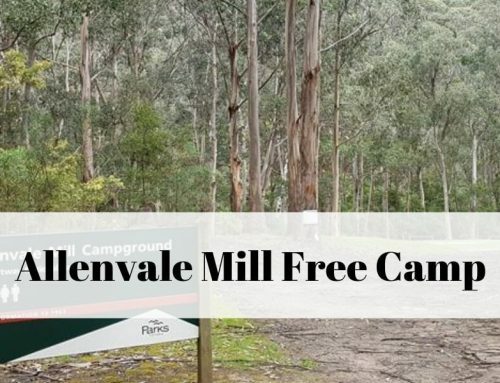 Stevenson’s Falls, Beauchamp Falls, Dandos and Aire Crossing – Find all the details of these Dog-friendly, Free Campgrounds here.